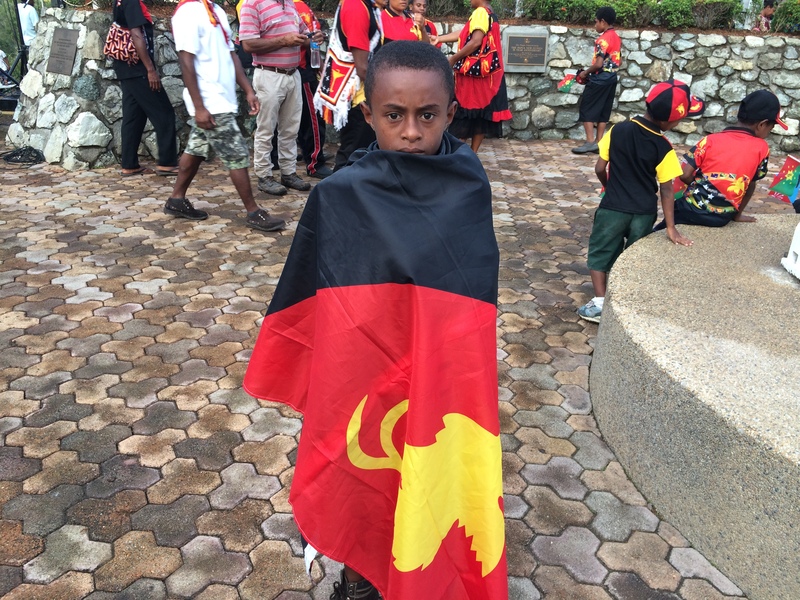 Papua New Guinea celebrated its 39th year of independence on Tuesday. This is all but a historical footnote in the minds of many Australians, as many of us have forgotten the close association between both countries that began 100 years ago this month when Australia seized the German territory at the commencement of the First World War. The grand vision of Sir Michael Somare of the opportunity to run their own country has yet to be fully realised with the last two decades chequered with constitutional crisis and at times significant civil unrest. 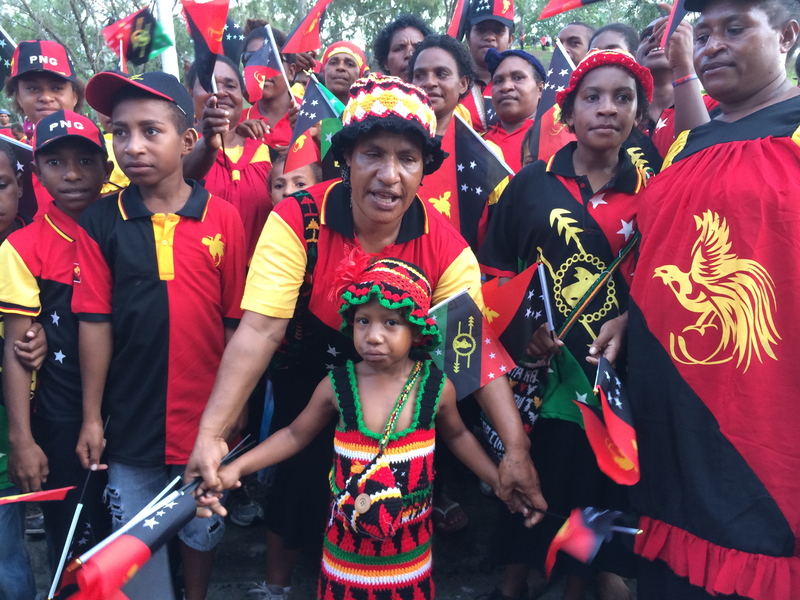 Extractive industries have become a significant feature of foreign interests in Papua New Guinea since 1975, and corruption has sadly often impacted on the distribution of income. 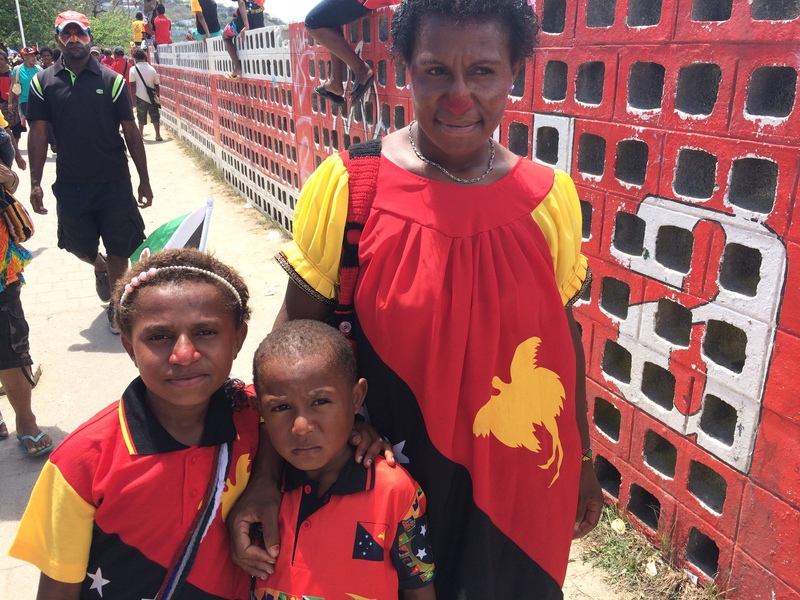 The country has dropped considerably down in the country ratings of UN Human Development since 1975, and Australia’s Foreign Minister Julie Bishop expressed earlier this year how she was troubled that PNG was not likely to meet one of the eight United Nations Millennium Development Goals before they are due at the end of 2015. 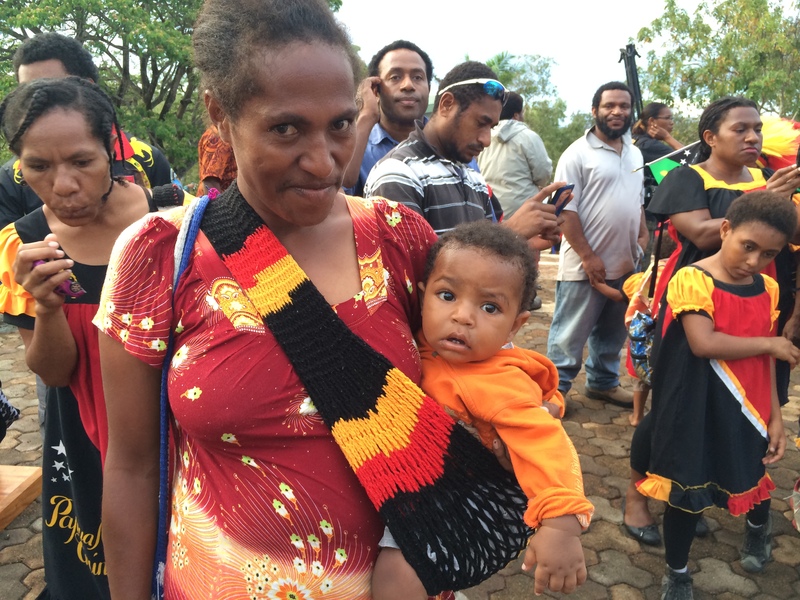 It could be easy to look at PNG and focus only on a grim picture. 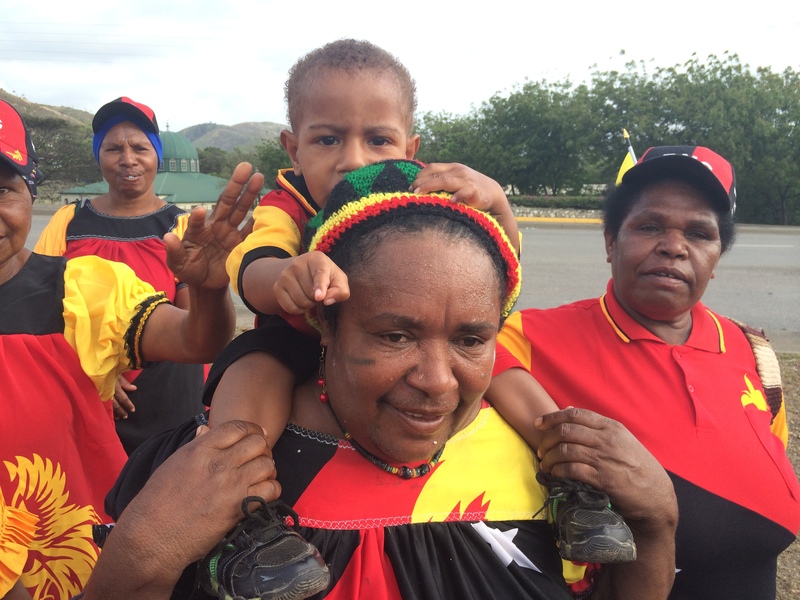 What I saw when I was beginning the 10 City Bridge Run in Port Moresby painted a different picture. There were many expressions of national pride, concurrent with alignment with which one of the 32 provinces people originally came from. It is a country with over 840 different language groups, and with just over 7 million people, national unity is an amazing achievement. Indications is that the country is looking towards good leadership and a bright future. 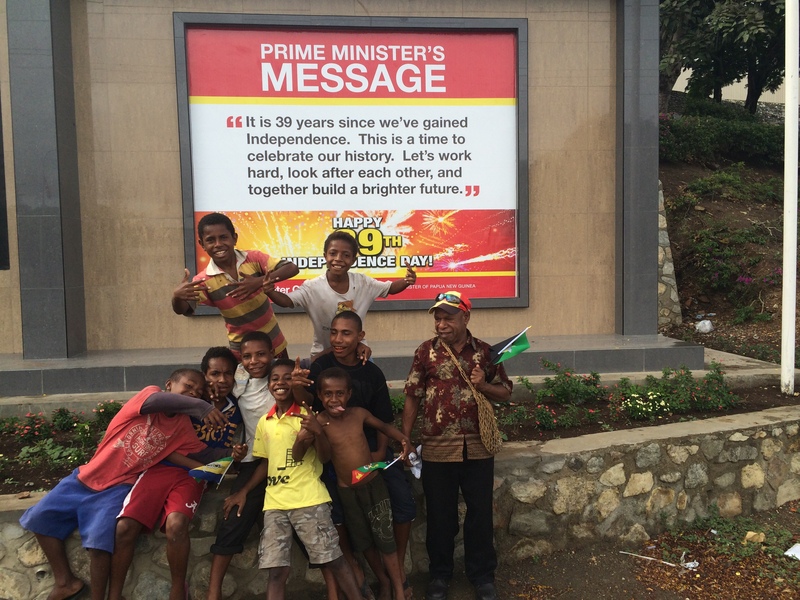 Let’s hope so, because the region needs leadership from Papua New Guinea now. Enjoy these photos taken of people during Independence. 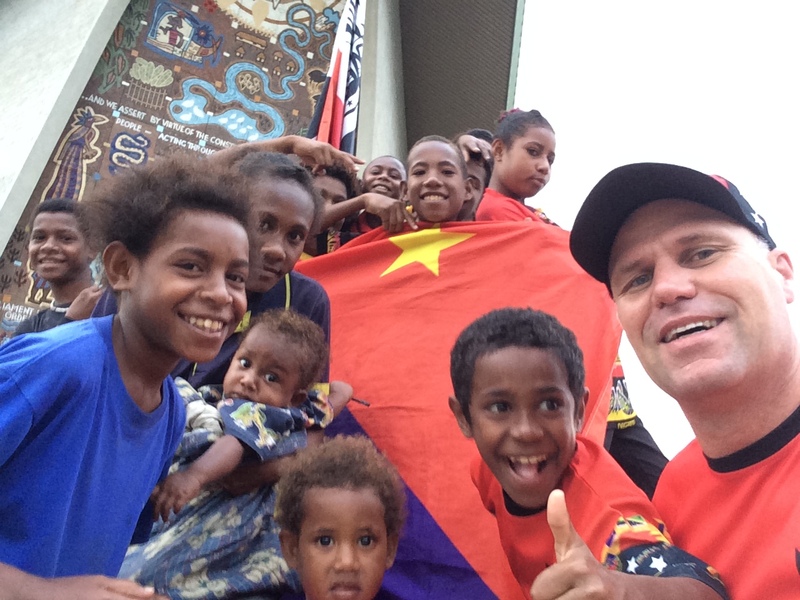 This entry was posted in 10 City Bridge Run, A Promise Renewed, Papua New Guinea and tagged 10 City Bridge Run, Papua New Guinea. I just returned. 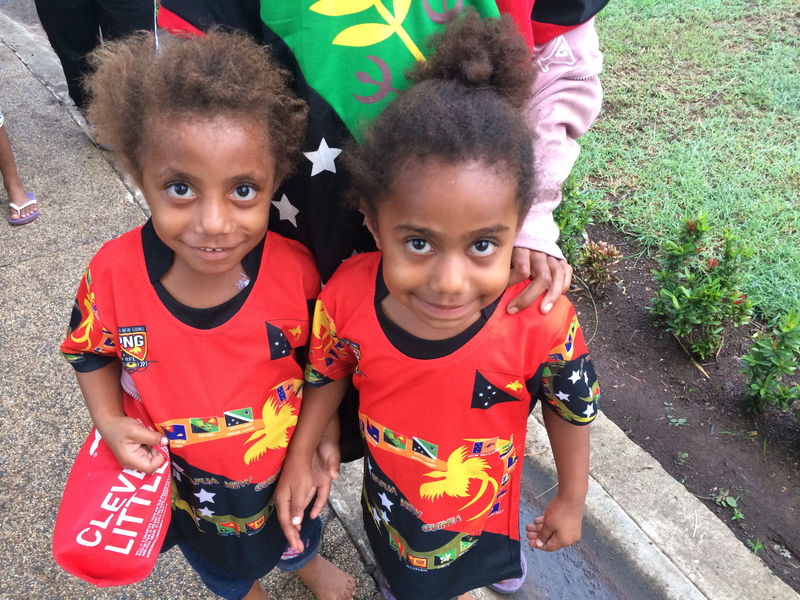 Both to writing the blog, but also from a near life-changing experience in Papua New Guinea. Papua New Guinea is a fascinating country. Truly the land of the unexpected. Arguably the most diverse country on earth, in every respect. Also a country which has been raped by years of colonial and neo-colonial intervention. The 1988-89 (gold) rush left an impression. “It was the most astounding thing I have ever seen. There was more gold than you could poke a stick at. So much so that I thought I would never be looking for gold again. The locals were shaking gold nuggets from the roots of the grass. Some of the nuggets were the size of goose eggs“. I returned with fresh eyes seeing how child mortality is an important issue, and more than ever before I want you to be involved. 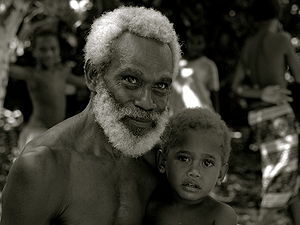 I started taking photographs of human bridges while I was in PNG, and will post the link on Flickr here shortly. I deleted a whole bunch of photos accidentally (including some priceless photos of human bridges), which in itself was good food for thought- what did I really value: the photos or the emphasis on reducing infant mortality? Taking photographs of human bridges was instructive. Approaching it from a Western mindset of order and sound structure just doesn’t work. People have their own ideas of what it means to build a bridge, and it is refreshing to see this human creativity at work, even if the finished project is a little lumpier than the perfect bridge that you might have wanted to see from the other side of the camera lens. Sorry about the absence from the blog- a lot has taken place over the last month or so since I have been writing. To start, my friend Aaron suggested the focus of the event be squarely placed on the photographs of human bridges- after all, this is where the real work is in this initiative. This meant that no running will occur until 24,000 photographs of human bridges have been collected. This is a collective effort. Earlier I had intended to start running on 1 March, and so this change meant I had pushed the start date to coincide with the Paris G20 Summit which was then scheduled for June 2011. This suggestion was followed by news from my friend Mark that the Paris G20 Summit has been shifted to November- the G20 will now only meet once annually. This is in fact good for me. Consequently, the run will now take place across November to highlight to the outcome of the photographs gathered. It will travel through 10 countries, and while I will visit Paris, I don’t intend going to the G20 Summit itself- that money is better spent elsewhere. I intend to be running with other people in each city. It is fresh canvas again. The timing change is good, not because it gives more time for preparation, but because it gives adequate time to focus on the curating of 24,000 photographs to form a pictorial petition to be given to the G20 leadership ahead of the November Summit. One photo for each child that dies on any given day (using 2008 figures). To reduce the infant mortality rate to achieve the United Nations Millennium Development Goals target requires a further reduction of 10,000 deaths daily every day from the present infant mortality rate which sits are around 21,000 children under five who tragically and needlessly die daily. Let’s get to work. Good to be back. Join me on this journey- I need your help. This entry was posted in Child mortality, Papua New Guinea, Photographs and tagged Bridge, Child mortality, Papua New Guinea.